Well, well, well… not sure what’s going on with the weather, but it seems as if the West Coast has found its groove in blasting out glorious sunshine followed by a dousing of rain in the evening. We certainly don’t want to complain, but why the rain when we have to sit and wait waiting for logger birds to return? There are four birds out there at the moment, and two of them we want to get back today. But with them being busy beavers out at sea during daylight hours, we used the time to finish up on the job of maintaining the trail cameras. Some of the cameras seem to be pointing at nothing in particular. But it’s penguin pathways they monitor. With a motion activated recording schedule these cameras will not only pick up penguins waddling up the hill, but also potential predators. Although this threat hasn’t really substantiated after the nest failures in the first week or two. Right now, everything is looking okay at Jackson Head. Male penguins hang out with their chicks while mum returns every one or two days with food. That is what the other set of camera tell us, which monitor at nest sites directly. We spent the afternoon going through all the cameras and downloading data or replacing batteries, before it was time again to sit down above the shore and wait for logger birds. I think I forgot to mention yesterday that we deployed two more devices that day. So that complicates things a bit, as we don’t want to recover devices that were on birds for only a day. As the evening progressed and one penguin after the other made it ashore, we indeed spotted one of the birds carrying a wee backpack. But, of course, it was one of yesterday’s birds which we let wander up the hill in peace. And just to hammer the ground hog day feel home, there was yet another front coming up form the South when the sun started to set. When none of our target birds had returned, we walked out. Tomorrow I’ll head back to Milford Sound. I will pick up a student, Jeff from the US, in Queenstown and then join Robin. Giselle had to leave for a conference. Hotte will stick it out on the West Coast until Ursula arrives who will be coming off Whenua Hou today. Boy, our field teams surely are a shifty business this year. 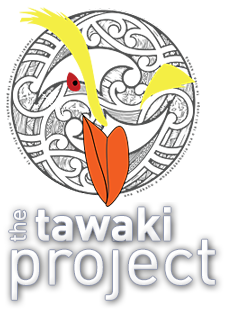 Marathon press – tawaki everywhere! Where do moulting tawaki belong?